Whether you're a fisherman, a water tourism fan, or simply prefer to take a break on the water sooner or later, this means you need to buy your own water equipment. 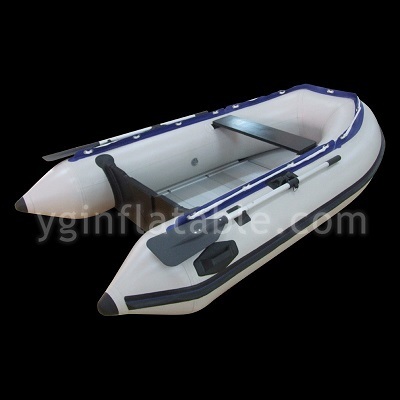 One of the most convenient and popular is the inflatable dinghy, a small ship made of PVC or rubber. Although many people do not think it is not very suitable for use as a floating pleasure ship, the strength and navigability of the dinghy are quite high. Around the world, inflatable boats can be used in rivers or seas, and can be used as patrol boats and lifeboats for naval and naval operations. The main advantage of the inflatable kayak is that it is light in weight and small in size when folded compared to other small solid boats. When storing PVC boats doesn't require much space, they can be stored in a small corner of the apartment. All of this can easily transport them over long distances without the need for special equipment or trailers to transport them. Even large inflatable dinghies can be fitted with engines or easily placed in the trunk of a car. Due to the excellent properties of inflatable kayaks, it is difficult to capsize in water. Small in size and light in weight, this allows them to operate in areas where the water is shallower, such as small rivers or ponds. With the ability to navigate complex waters, inflatable dinghies can move easily along coastlines 1 or 2 people, which would be difficult for a heavy solid boat to do. There are a wide variety of inflatable boats on the market, and you can choose to use them for any purpose, depending on the purpose and economy of use. Select an inflatable kayaks, especially to decide where and how to use it. Fishing and relaxing in calm waters,the best option is a cheap and cost-effective inflatable kayaks. If you plan to use a boat to fish at sea or travel long distances, choose one that can be fitted with an engine. For all kinds of extreme water sports, we should pay attention to the ship's material quality and strength. Also pay attention to the boat's performance and water stability. Remember, safety is important. But whatever the purpose, the inflatable kayaks can meet these needs.